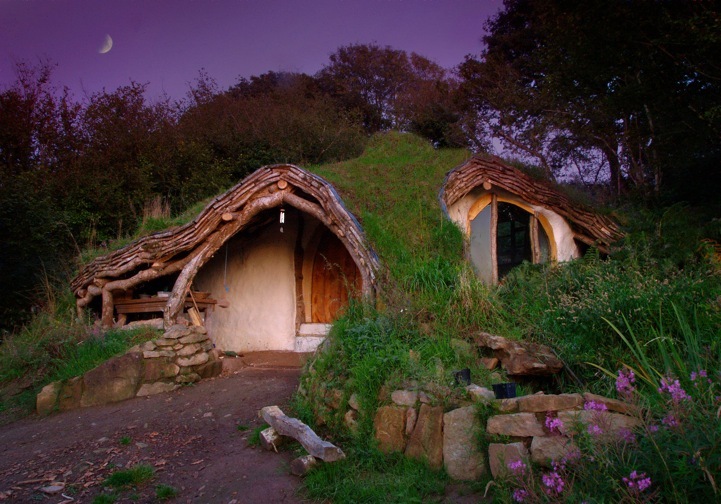 In this post I have some amazing pictures of a house Simon Dale built for his family in Wales. 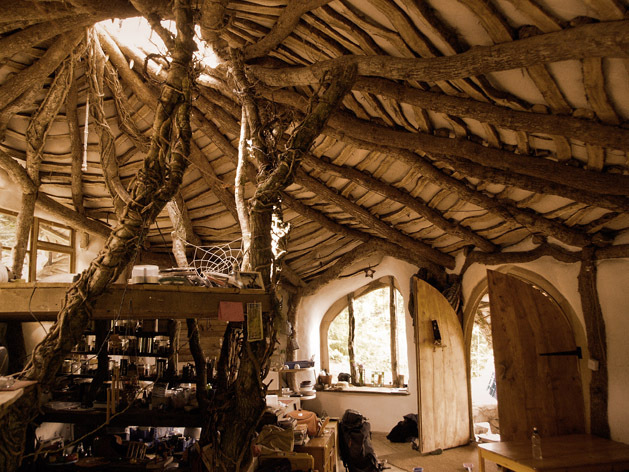 It was built by himself and his father in law with help from passers by and visiting friends. 4 months after starting they were moved in and cosy. The house was built with maximum regard for the environment and by reciprocation gives us a unique opportunity to live close to nature. Being your own architect is a lot of fun and allows you to create and enjoy something which is part of yourself and the land rather than, at worst, a mass produced box designed for maximum profit and convenience of the construction industry. 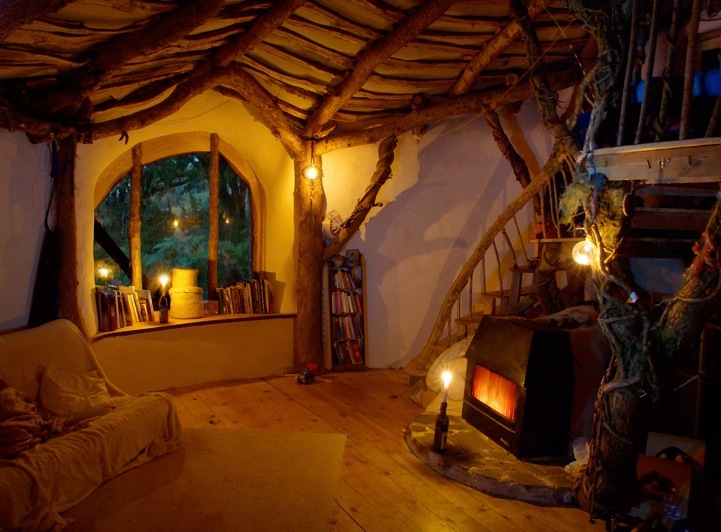 Building from natural materials does away with producers profits and the cocktail of carcinogenic poisons that fill most modern buildings. 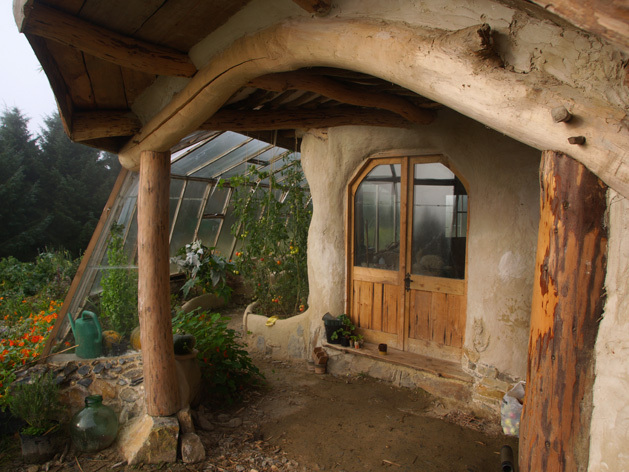 This building is one part of a low-impact or permaculture approach to life. 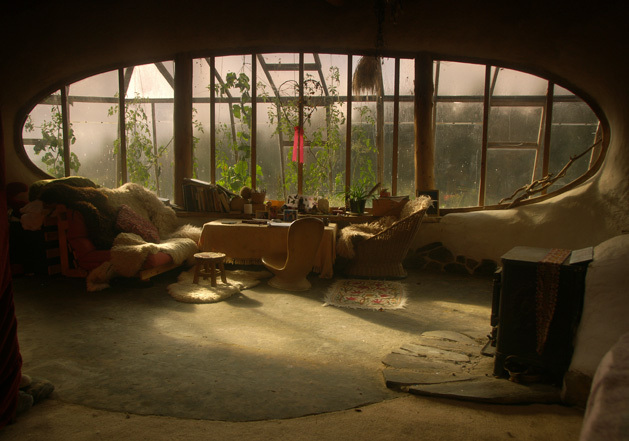 This sort of life is about living in harmony with both the natural world and ourselves, doing things simply and using appropriate levels of technology. 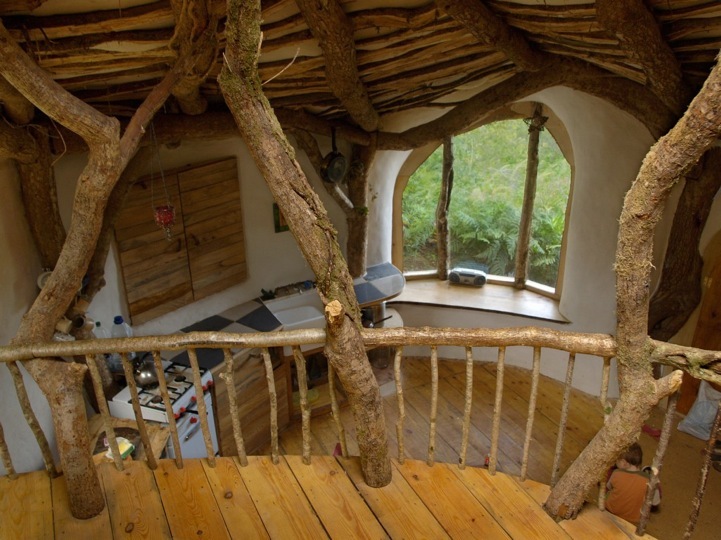 These sort of low cost, natural buildings have a place not only in their own sustainability, but also in their potential to provide affordable housing which allows people access to land and the opportunity to lead more simple, sustainable lives. 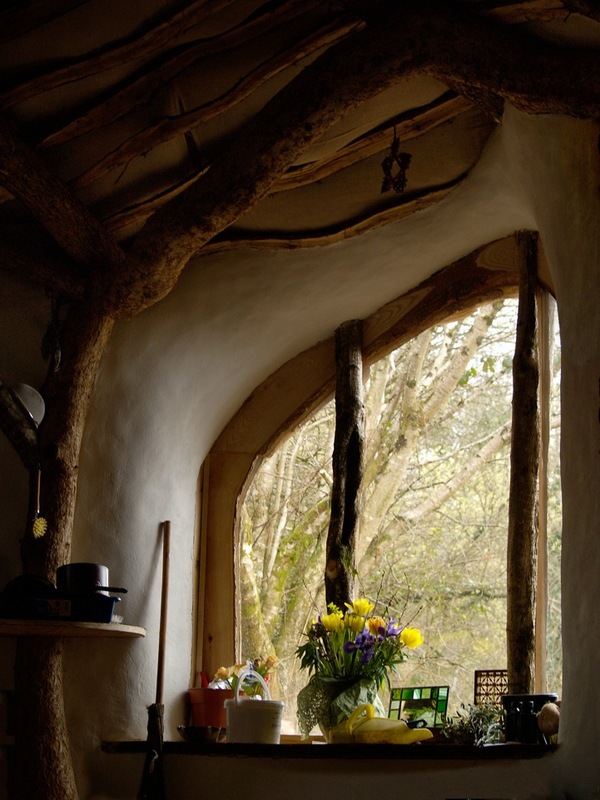 For example this house was made to house Simon Dales family whilst they worked in the woodland surrounding the house doing ecological woodland management and setting up a forest garden, things that would have been impossible had they had to pay a regular rent or mortgage.